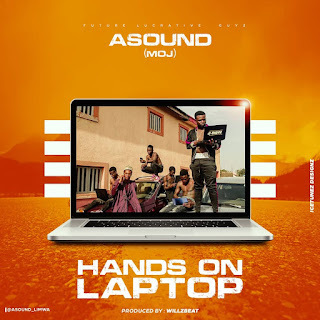 Future Lucrative Guyz act Asound drops one for the streets after a successful release of his album last year "Future King" but titles this one being the first song of the year Hands On Laptop. This joint bangs from start to finish and it is one which G-Boys would absolutely adore, Hands On Laptop is a kind of music which holds the potential of going viral. Massive tune.